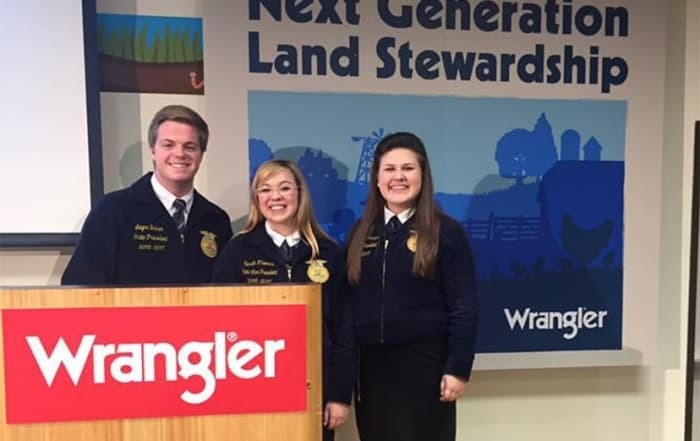 FFA provides exceptional leadership training to students of all experience levels through utilization of a three-part, cohesive conference series called the Chapter Leadership Continuum. The final conference in this series is the Washington Leadership Conference (WLC). Students, chapter advisors, and/or state staff must register for WLC using their FFA account. The button above provides access to the registration system and a view of WLC availability and inventory. The WLC curriculum is based on four tenants: ME, WE, DO and SERVE. Building upon each of these four tenants gets students to the overall objective of the conference which is becoming an engaged citizen who can make a measurable positive difference in their community. 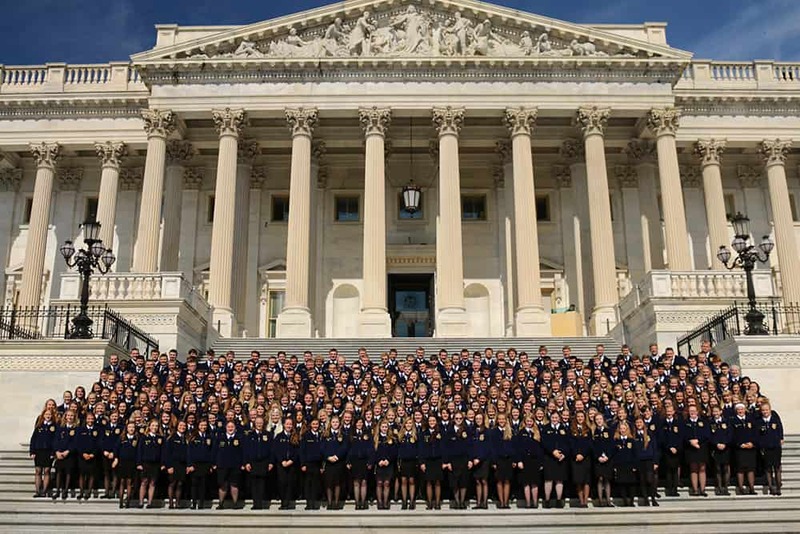 Each of these tenants are taught during a full dedicated day of the conference and through the context of our nation’s capital, Washington D.C. WLC provides FFA members with a premier leadership experience while exposing them to the rich history that DC has to offer. ME – To start the continuum in becoming an engaged citizen we must first start with ourselves. Day one of WLC pushes students to look inward at the unique offerings they bring to the table. Students identify what their top six strengths are (Things we are great at) along with their top six passions (Things we love to do.) Students are then gently introduced to what needs of the world are. 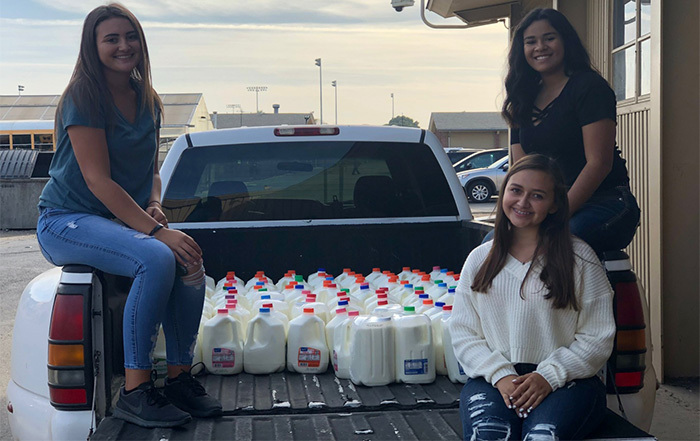 Students then combine their strengths and passions, and start to think about what it would look like if we combined our strengths and passions to meet a need. For example; a student may identify “organization” as a strength, and “basketball” as a passion. They may then be made aware of the need of increased funding for cancer research. That student could then organize a basketball camp to support cancer research. Students are also walked through developing a purpose statement. On this first day students travel to Arlington National Cemetery where thousands of military service members are laid to rest. 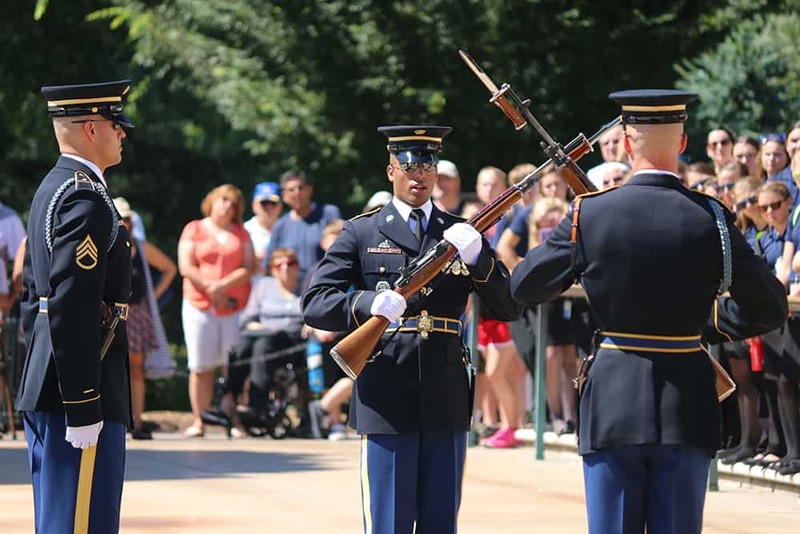 Those interred at Arlington knew their strengths, had a strong passion, and ultimately gave their lives in service of our country. 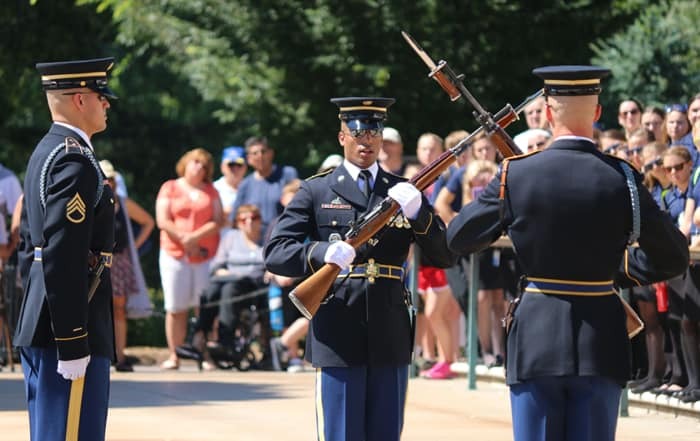 Arlington National Cemetery gets students in the mindset of what purpose, strengths, and passions look like. Students are also taken on a night tour of monuments, where they see further examples of key figures who lived a life of purpose. WE – Once students have a strong sense of who they are, and develop purpose statements we can then move to WE. No great task was ever accomplished alone. We teach students that we must bring people together to help any cause. When we bring different people together we must also appreciate, embrace, and celebrate the rich diversity that people who look, think, or were raised differently than us bring to the table. Thursday of WLC is dedicated to looking at diversity. We look at diversity as much more than race and ethnicity. We teach diversity through the context of our visit to the United States Holocaust Memorial Museum where diversity of thought is a cornerstone. DO – Friday of the conference is dedicated to Advocacy. Once we know ourselves, and value other people, only then can we truly advocate. 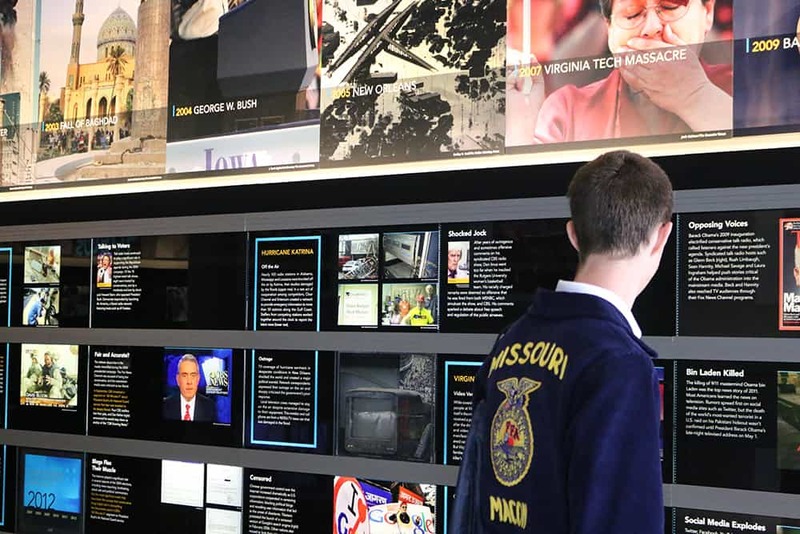 Students learn advocacy through the context of experiencing the Newseum – DC’s highest rated museum dedicated to the history of news, and our first amendment right to speak. 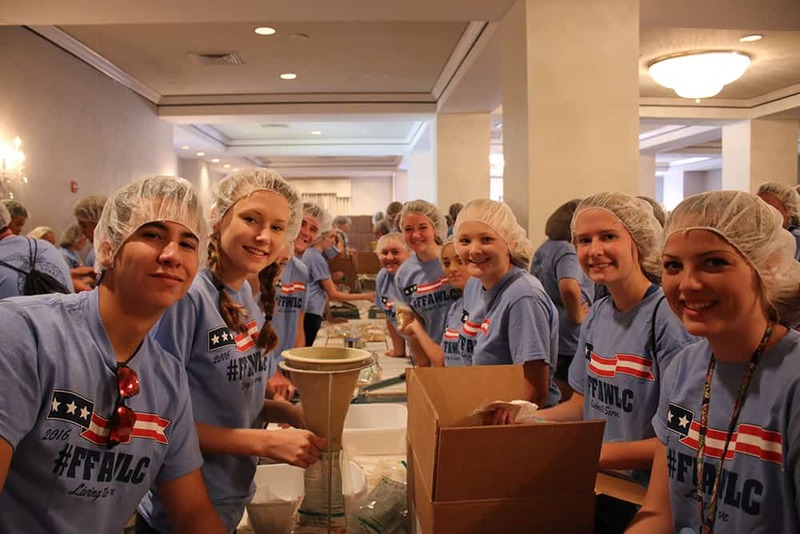 Students learn advocacy through the context of visiting the U.S. Capitol building – where advocacy can lead to issues facing the nation being heard, considered, debated and written into law. Within the conference curriculum students develop an advocacy plan that will help them advocate for a cause they are passionate about upon their return home. SERVE – The pinnacle of the conference happens on Saturday as we take part in our service day project. In the past five years the service projects have been very different in order to best serve the needs of those in Washington DC. The Washington Leadership Conference is staffed by facilitators who are current college students and have a passion for student development. These facilitators go through a robust training on how to effectively teach students and facilitate the program throughout the summer. WLC is the pinnacle leadership conference offered by FFA to any and all members that are able to attend. In the past three years, the first four weeks of WLC have sold out within four days of registration opening due to high demand. WLC has a participation maximum of 370 students per week.